In September of 2007 I wrote an entry (see it here) about the carbon cycle in the Southern Ocean. Entitled "The Oxygen Farmers" it focused on the oxygen production that occurs in the Southern Ocean, and how it is the largest source of oxygen for our planet. Ever since the industrial whaling of the last century, the removal of the whales has added to the reduced efficiency of the Southern Oceans to produce oxygen. Now, scientists have shown one more important part of this cycle, and why it is crucial that no commercial, or any other kind of whaling, should be allowed. ABC news in Australia released a report today (see it here) telling us how Whale Poo is a critically important part of the life cycle in the oceans. As one of the elements in the life cycles in the oceans, the waste products from whale diets feeds algae, which in turn feeds the phytoplankton, which feeds the krill, eaten by the whales. It is the phytoplankton that creates the oxygen we breathe. 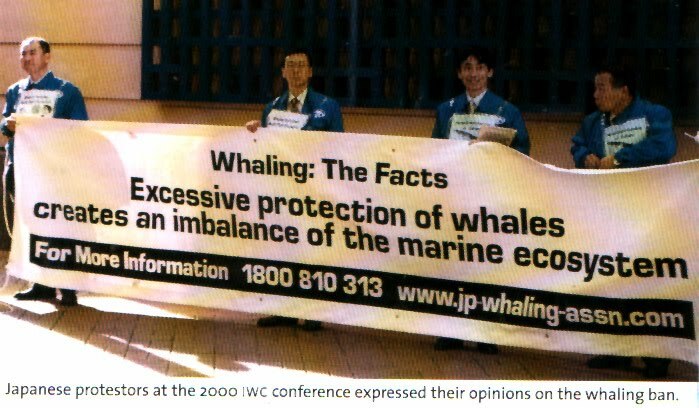 According to Japanese whaling interests, backed up by all other whaling nations, it is claimed that there is no environmental or ecological reason to stop whaling. Their claim is that the effort to end whaling is akin to "dietary imperialism" based entirely on cultural choices of what is OK to eat, and what is not OK to eat. 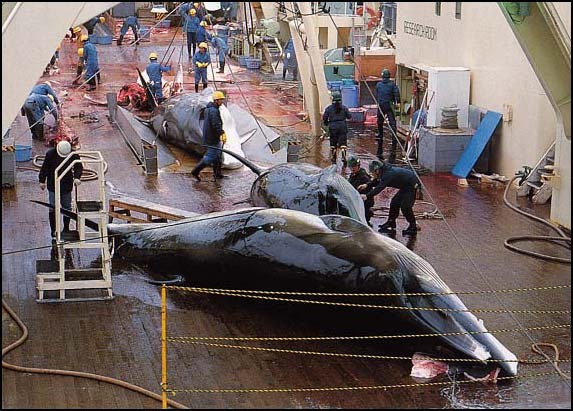 They would have all whaling seen as purely choices of dietary preference, with no ecological consequences. To claim otherwise is only an emotional appeal based on bias, and is ecologically unwise. Even the Australian ecologist, the highly acclaimed Tim Flannery, suggests that the imbalance in the oceans, the failing fish stocks and the ill health of many part of the world oceans, is due to unbalanced harvesting of living resources. Yes, Tim Flannery is in favour of increased whaling. It has been my contention that the oxygen cycle is, obviously, affected by the reduction of whales in the southern Ocean. The reduction of most species has left open the ecological niches they formerly occupied, and these niches have been filling up with the increase in the population of the smallest filter-feeding whale, the Minke. It is the Minke whale that the Japanese have been removing in the hundreds each year, and the ones they must stop killing. The arguments mount, stronger and stronger, for a total end to whaling. This is another piece of that argument.